Our world is an amalgamation of stories, worldviews and beliefs, and our current industrial model was created to manufacture wants and needs. Since the first days of commerce, brands have been investing oceans of energy and resources to build substance and meaning to their offering using storytelling (like P&G's recent "Pick Them Back Up" campaign) and to promote those benefits. At the same time, the massive proliferation of television and online, the transformation of the PC into a retail channel, the explosive rise of mobile and social media, and as a result a constant battle for the consumer's attention. Every day there are 3.3 billion searches on Google and nearly as many updates on social media. Understanding the consumer's decision journey and creating one-to-one conversations is critical to identifying battlegrounds to either win new customers or keep existing ones from defecting to competitors. To make it worse, the "storytelling" that brands have been so carefully crafting, and spending what is approaching an annual $1 trillion globally, is being trapped and diluted in this 'prison' and "fences" formed through retailers, media and networks standing between them and their target consumers. Even the world's top marketers using big data and emerging technologies are struggling to solidify the emotional connection between people and brands. No wonder that all this results in mediocre outcomes. In a survey of 600 CEOs and decision makers conducted by the Fournaise Marketing Group, 73% of CEOs think marketers lack business credibility and that they can't prove they generate business growth. In a recent interview published in McKinsey Quarterly, Lorraine Twohill, Google's senior vice president of global marketing, describes what has and hasn't changed for marketers trying to connect with customers. "It means marketing needs to raise its game. Engineers look at the world in a different way than the rest of us. They're big visionaries, big thinkers, because they have huge imaginations. You have to be as good as that. You have a seat at the genius table with people that can code, people that are creative, and are extraordinarily talented. To have a seat there, you need to raise your game." You and your brand need to be sitting at that table - and escape the prison that your storytelling is being trapped in. Doing so is recreating the brand-to-consumer experience with a customer-centric approach to reach engage, and inspire customers to buy. Companies and product vendors now have to collaborate to offer purchasable products and services directly to the customer at the right place and most influential time. The pivot-point moment for brands is upon us, and marketers are seeking new ways to provide authentic substance to their customers, while controlling the end-to-end storytelling. This approach means moving away from the "usual way of doing things." Communication is still key, but context and actual intent matters more than ever. The better you engage with your customer directly, the stronger your customer's experience going forward. Amidst the confusion and changing retail landscape, the clear thinkers can break through the barriers and drive revenues through the use of innovative marketing technology partners. Visionary entreprenuer Bojan Jokic has been a disruptive force in the travel technology industry since 1997, successfully leading notable companies in 6 countries on 3 continents. Fueled by his passion for innovation, Bojan built a quartz laser at home at age 14 and then went on to build a market first b2b travel booking engine for a travel management company at age 29. By 39, Bojan was instrumental in creating Europe's first travel apps available on TV. Over the years he has been the driving force behind multiple e-commerce solutions that are generating profitable revenues with millions of customers. Bojan studied air travel and transportation engineering and holds an advanced MBA. He currently resides in Switzerland and serves as CEO and co-founder of Epteca, an emerging technology company bringing unique 'smart sellling' marketplace capabilities to travel companies, airlines, hotels and brands worldwide. 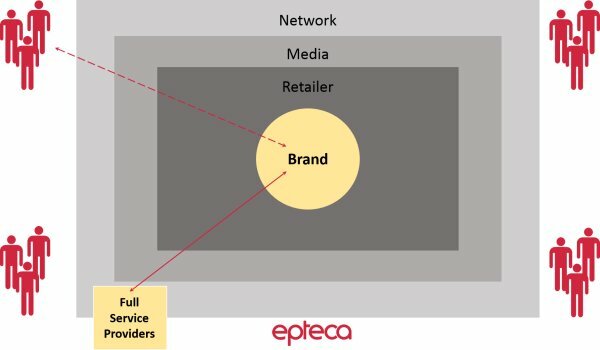 To learn more, schedule a demo or get started with Epteca's Marketplace Ecosystem, please visit http://www.epteca.com. Brand Building: A More Cost-Effective Way to Raise Your Company’s Profile? Travel Spending has Increased by $48 billion – So What are Travelers Spending Money On?